In his capacity as chief economist at a major international consulting firm, John Perkins has advised the World Bank, the United Nations, the IMF, the U.S. Treasury Department, Fortune 500 companies, and a variety of institutions in many different countries. 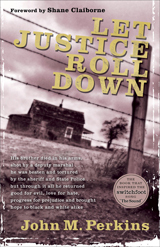 His books have sold more than a million copies and been translated into over 30 languages. 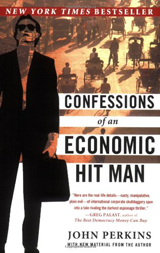 Perkin's Confessions of an Economic Hit Man (2005) spent 70 weeks on the New York Times bestseller list. In it, Perkins writes about his experiences in the 1970s of being covertly tasked with persuading leaders of developing nations to accept predatory loans for infrastructure development as a means of securing lucrative contracts for U.S. corporations. 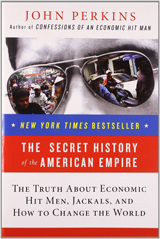 In his latest book, Hoodwinked: An Economic Hit Man Reveals Why the Global Economy Imploded and How to Fix It (2011), Perkins asserts that many of the same economic policies that were once pushed on developing nations are now being pushed at home. Perkins also writes about the mystical aspects of indigenous cultures and shamanism. He is the founder and board member of several non-profit organizations. 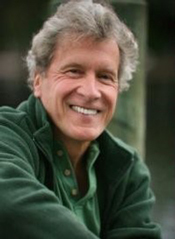 For more information go to http://www.johnperkins.org/.